Researchers at Ben-Gurion University of the Negev in Israel have developed a portable robot that can autonomously drive your car. The robot called “IVO” (short for Intelligent Vehicle Operator) can fit inside a handheld suitcase. The advantage of IVO is that “you can transform any vehicle into an autonomous vehicle,” Oded Yechiel, a graduate student at Ben-Gurion University’s Department of Electrical and Computer Engineering, who helped develop IVO told Live Science. “The idea is that anyone could carry and install an IVO robot. This way, you can still utilize the fleet of worldwide cars. In addition, having a single product that is generic can really reduce costs of manufacturing when going to mass production,” Yechiel added. According to IVO’s designers at Ben-Gurion University, the robot can be fitted in any car in 5 minutes. They added that once the robot connects to the steering wheel and the pedals, it operates the vehicle and takes control over the driving task. According to Yechiel, IVO’s current prototype cost about $1,600 to produce. He added that IVO’s future cost can be reduced when the product is made at the manufacturing level. IVO’s team is currently improving the robot’s computer-vision algorithms. 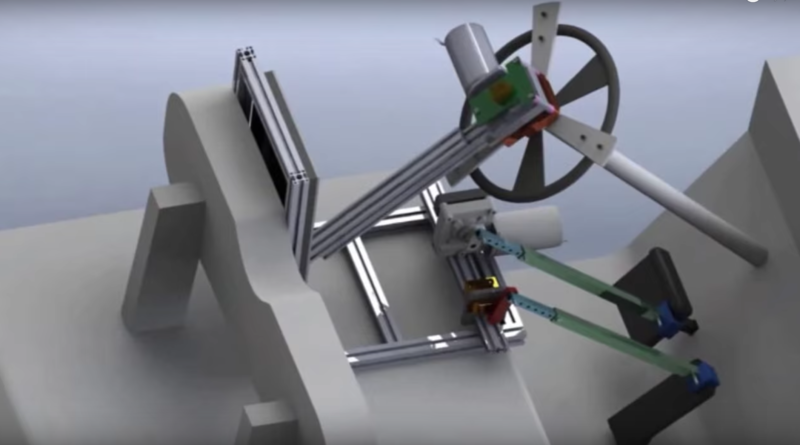 The robot’s designers hope to finish beta testing within a year. IVO has done some road testing in China. In Israel, the robot is restricted to driving in parking lots around Ben-Gurion University and predominantly tested in a golf cart-style buggy.